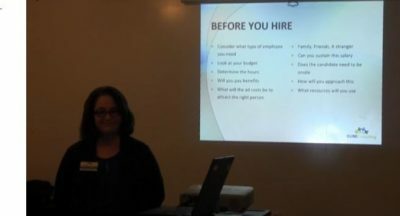 On Wednesday, March 14 the Krosslink Entrepreneur held their, “Are You Ready to Hire Your First Employee” presentation with guest speaker Nancy Dube. Nancy teaches the key aspects of what you need to know before you hire your first employee, the do’s and don’ts for interview questions, and much more! Click here to watch the full meeting!